Tired of lugging around that heavy, hardshell case with edges that ding up your shins and other gear? This Durafoam uke case offers the same protection for your soprano ukulele minus the heft. The high-density polystyrene foam shell has a soft plush form-fitting interior that coddles your instrument while the exterior is covered with tough Cordura. 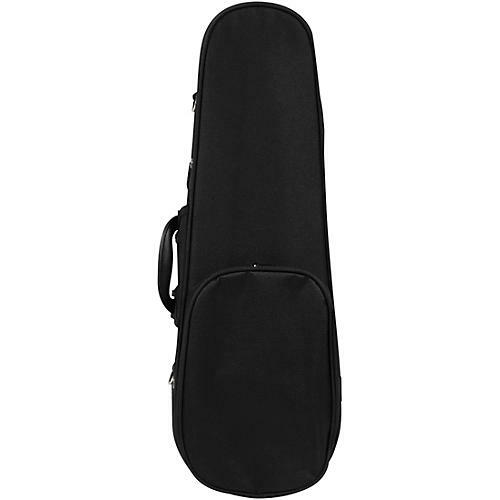 The soprano ukulele case comes with useful touches like an outside music pocket, interior accessory pocket, quality zipper, and padded shoulder straps. This case may also fit a concert size ukulele. Check the inner dimensions listed under the specifications tab for compatibility.